Elmer C. Million, president and a member of the board of directors of the First National Bank of Mt. Vernon, Washington, was born Feb. 28, 1864, at Belleville, Illinois, and is a son of John T. and Harriett P. (Wilder) Million, the former of whom was born in 1812 at Belleville, where his parents located in 1800. Our subject's grandfather was a contractor for the Continental Army. The mother of Mr. Million was of Scotch ancestry, and was born in Conneaut, Ohio, in 1823, and died in Blackwell, Oklahoma, in 1898. Mr. Million is one of a family of eight sons and three daughters born to his parents, [including]: Orrin B., a farmer of Mt. Vernon . . . and Marshall W. Million, associated with the General Electric Company at Seattle. Elmer C. Million attended the public schools in the vicinity of his home in Kansas and then began teaching in Osage County, in the meantime reading law with Judge William Thompson, of Burlingame, Kansas. He was admitted to the bar at the age of 21 years, in Osage County, and started into practice at Dexter, in Cowley County. In 1889 he came to Mt. Vernon, and has been engaged in a successful practice ever since. He is identified with many of the leading financial and business enterprises of this portion of the state. In 1891 the First National Bank of Mt. Vernon was organized, with a capital stock of $25,000, the only national bank in the city. Since 1902 Mr. Million has been its efficient president, with E.W. Andrews, vice president, and R.G. Hannaford, cashier. This building is where Million and other attorneys argued cases from 1893 to the early 20th century. This photo from Larry Kunzler's Skagit River History website shows the Matheson Building, the original Skagit County Courthouse in Mount Vernon, erected in 1893 after the 1892 election that confirmed that Mount Vernon would remain the county seat. 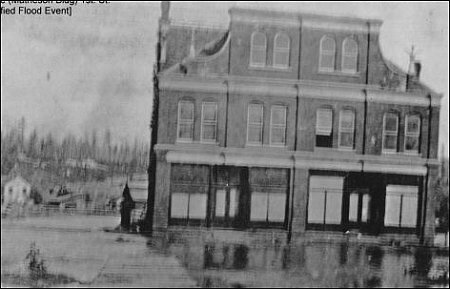 It still stands at the southeast corner of First and Pine streets, but the upper floor was removed after a fire in 1909 and the building was converted to retail and office use after the new courthouse was erected in 1923. We do not know the year of the photo but we suspect that it was taken during one of the three very-high water stages during the 1894, 1896 or 1897 floods. Note that Pine Street, to the left, is a wide thoroughfare and that the hills behind are still showing first growth trees. Mr. Million is the president and one of the organizers of the Lyman Lumber Company of Mount Vernon, operating a logging camp at Hamilton, Washington; president and one of the organizers of the Million Investment & Trust Company of Mt. Vernon, organized Jan. 1, 1897; secretary and one of the organizers in 1899 of the English Lumber Co., which operates a camp at Fir, with headquarters at Seattle. ; secretary and one of the organizers. E.C. Million in The History of King County By C.W. Bagley, 1929, Volume 2, p. 633 E.C. Million has long occupied an enviable position in legal circles of Seattle and has won a substantial measure of success in his chosen calling. He was born near Belleville, Illinois, Feb. 28, 1864, and was reared on a farm. He started life as an agriculturist and later taught school, though having but a country school education. While thus engaged he studied law and in 1886 was admitted to the bar in Kansas. He came to Seattle in 1888 and in 1889 located in Mount Vernon, Washington, there residing for 17 years. He established a large practice and was judge of the superior court of Skagit county, filling an unexpired term. Since 1906 he has followed his profession continuously in Seattle. Mr. Million is a Knight Templar Mason and Shriner and is also identified with the Independent Order of Odd Fellows, the Benevolent Protective Order of Elks and the Ancient Order of United Workmen. He is a member of the Elks Club, the Rainier Club, the Arctic Club, the Ingelwood Golf Club, and the local, state and national bar associations. In politics, he is a Democrat. E.C. Million, pioneer Mount Vernon attorney, died last Thursday in Seattle, where he practiced since 1906. The funeral took place Monday afternoon and was attended by scores of Skagit County people. Mr. Million was well known throughout the state in law and politics. He was at one time candidate for the Democratic nomination for governor and when a resident of Skagit County had served a term as superior [court] judge. He was born in Illinois and came to Skagit County in 1889. He formed a law partnership with Judge J.P. Houser; and this firm was later joined by I.e. Shrauger. For a time he was president of the First National Bank of Mount Vernon and was a stockholder in the Lyman Timer Company. He was 68 years of age. He is survived by his wife, Mrs. Beatrice Million; a son, by a former marriage, Ten Million of Seattle; and a brother, S.D. Million of Bremerton. Naming the baby is in most families, quite properly, a serious affair, in which every member is interested. No name can be too beautiful, too poetic, too melodious, for that small, pink-faced person to bear through life; no name can be associated with too illustrious a personage of history, too fascinating a character in romance. From the great G.W. and King Arthur, downward, baby is good enough to be anybody's baby. Of course! Such is the usual attitude of parents, with which the world sympathizes while it smiles. Nevertheless, it is surprising to what names and conjunctions of names, reckless or cruelly jocular parents will condemn their children. English records of recent years reveal that Mr. Robert New named his two sons Nothing and Something. Mr. Mixer, Mr. Peel and Mr. Could named their respective babies Pepper, Lemon and Salt; while Mr. Ware's little girl became China, and Mr. Gentle's, Always. An appeal for legal change of name allowed the general public to learn that the brothers Pigg bore the Christian names Black, Brown, Gay and Guinney!. Their request, it is needless to say, was promptly granted. The unfortunate twins, Sudden Death and Jolly Death, showed a yet further abuse of parental privilege in their cognomens; but they did not change them. Practical joking at the expense of helpless infants is certainly unpardonable. It is said to be less rare in our own country than across the water; but in an extraordinary instance noted in the Washington Star, the bestowal of striking names upon a whole family of ten children was accidental and permissive rather than positively designed. Mr. and Mrs. Million, of Mt. Vernon, Wash., could never, it seems, quite agree upon names entirely satisfactory to both, so, as a matter of convenience, they had resorted to numbers. The Washington official who relates the story, says that when the names of subscribers to the three per cent bonds were sent in one was that of Ten Million. It was naturally supposed to be an assumed name, and a letter was sent to the address given, rather sharply stating that bonds could be registered in real names only, and that no further attention would be paid to his subscription unless he gave his true name. 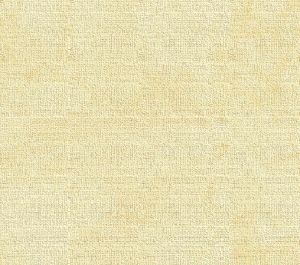 An explanatory reply was soon received from Mr. Million, written upon paper bearing the printed letterhead of a firm of Million & Million, reiterating his own name, and adding those of his brothers and sisters, One, Two, Three, Four, Five, Six, Seven (his partner) and the rest. As the Million children — that is, as the ten Million — at least, as the ten children by the name of Million — grew up, most of them, he admitted, had modified their numeral prefixes; the Misses One and Three Million, for example, becoming Una and Trio, while Ten himself was commonly known as Tenis. Legally, however, his name still remained unchanged; and today he is registered on the books of the department as Ten Million, his only rightful name in the eye of the law. Besides attending school, Ten is the Mount Vernon agent of the Seattle Daily Times, which position he has held for several years. He is, as the old saying goes, "as sharp as a tack," and it makes a man with head on him like a "Philadelphia lawyer" to get ahead of Ten Million in a deal of any kind. He is a favorite among his schoolmates, and beloved by all who know him. Journal ed. note: who is conning who here? Was it editor Sebring, or was he quoting another publication? Why do we ask? Because the Millions only had one child and his name was indeed Ten, born in Mount Vernon on Oct. 14, 1889, and he kept that name, rather famously at times, into adulthood. Or did Mrs. Elmer C. Million, his mother, con the editor or writer? After all, as you will read below, she was a merry prankster of some renown. And why, in all the stories in which she is cited, did no one ever post her first name? We discovered from court documents that Elmer's first wife, and Ten's mother, was named Ella. Elmer's obituary does not mention whether they divorced but apparently did. According to Skagit County historian John Conrad, she died in 1954 and he called her Million's widow, even though his obituary shows that he had remarried to a woman named Beatrice. Re: local families, there was indeed a Pigg family in Skagit County, in Sedro-Woolley, in fact, and some descendants legally changed their names to Paige, especially for girls in the family. Ten Million, son of Elmer Shanaman Sports Museum of Tacoma & Pierce County Over the years Tacoma has seen its share of personalities in the sport of baseball come through the area such as Orval Overall, Walter Johnson, Joe McGinnity, Juan Marichal, Willie McCovey, Gaylord Perry, Mark McGwire, Jose Canseco, Walt Weiss, Scott Brosius, Jason Giambi, and Ten Million. Ten Million was born in Mt. 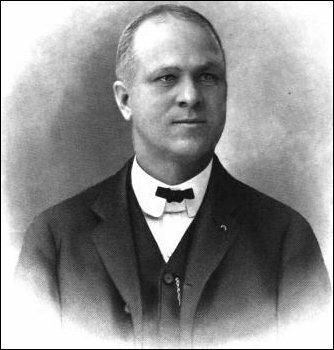 Vernon in 1889, graduated from Broadway HS in 1908, attended the University of Washington, and became a claims adjuster for the City of Seattle. He met his wife, Christine, while working for the Spalding Sporting Goods store in Seattle. He died June 18, 1964. Baseball was his love along with fishing and although his career ended with a knee injury, he did have a chance to play for Tacoma, in 1912-14, Seattle, Victoria, and Spokane in the Northwestern League. He also played professionally for the St. Louis Nationals. Later on he refereed high school baseball, football, and basketball in the Seattle area. He got his name because his grandmother liked unique and unusual things and, with a last name of Million, she wanted her grandson to stand out. She talked his parents into naming him Ten for that reason. When the daughter of Ten and Christine was born, the grandmother bribed Christine with $50 into naming her Decillian Million for the same reason. Later on, Decillian began to use the name Dixie but in her early years she was known as Decillian Million, daughter of Ten Million. In 1911, Victoria signed a fleet outfielder who was the son of prominent Washington State judge E. C. Million and his eccentric wife. She had dubbed the boy Ten, as in Ten Million. (In those days, that was a name, not a salary.) He had a sister named Decillion, which is 33 zeroes if you're keeping score at home. She called herself Dixie. Ten Million hit .276 for the [Victoria] Bees and was signed by Cleveland of the American League. Injuries kept him from the big leagues. For a time, he played outfield for the Robin Hoods of Moose Jaw, Sask. No kidding, it was Ten Million The Cleveland Indians Encyclopedia, By Russell and Russ Schneider With a name like his, it would have been much more appropriate for him to be playing in the current era, instead of the early 1900s. Instead, Ten Million — honestly, that was his name — was a minor league outfielder whose contract was purchased by the Cleveland club, then called the Naps, in 1911. Unfortunately, he suffered a knee injury and never played a game in the major leagues. According to Million's daughter, it was Ten's mother who had "a penchant for the unusual" and gave him the strange name when he was born in Mount Vernon, Washington, on October 14, 1889. 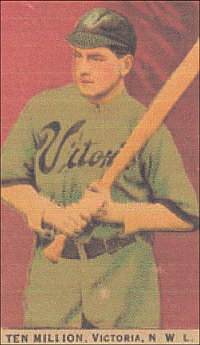 It was after he batted .276 in 160 games for Victoria of the Northwestern League that Cleveland bought Million. A baseball card of his issued by OBAK cigarettes that year said, "[Million] covers plenty of ground and is one of the leading throwers, is very fast and a good hitter." Million, who grew up in Seattle, also played for Tacoma of the Northwestern Leagure and Sioux City in the Western League in 1912, Spokane and Tacoma in the Northwestern League in 1913, and Tacoma and Moose Jaw in the Western Canada League in 1914, retiring with his bad knee after playing in 692 minor league games. After his playing days ended, Million was a sporting goods salesman for Spalding, served in the army in World War I, and in the 1920s sold Ford automobiles. While the 10 millionth Ford automobile rolled off the assembly line, it was taken on a tour of the United States and a Seattle newspaper ran a photo of the car with Ten Million. Ten Million later worked for the Corporation counsel's office in Seattle, investigating injury claims, and for many years he umpired semipro baseball games and also was a football and basketball official. Million's daughter also revealed that her grandmother — Ten's mother — paid her parents to name her Decillion Million, which they did — although they kindly nicknamed her Dixie. Her brother had a very ordinary name, "Barney," as did Ten's father, Elmer C. Million, a Seattle judge. Ten Million died June 18, 1964, at Anacortes, Washington. See another story about Ten and Decillion at: (http://baseballspast.com/Sampletenmillion.htm) and this Wikipedia website, which notes that he graduated from Broadway High School in 1908: (http://en.wikipedia.org/wiki/Ten_Million_(baseball_player). John Tudor Million and Harriett P.W. (Wilder) Million had 16 children. 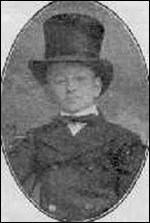 Orrin was the third, born on Sept 19, 1843. Elmer Cyril, the thirteenth, was born on Feb 28, 1864. Marshall Wilder was the baby, born May 21, 1870. In June 1890, Million's first partner in Mount Vernon is James Hamilton Lewis, the "dude lawyer" of Seattle, as Time magazine later described his early career. Lewis spent more time in Seattle than in Mount Vernon and was elected U.S. Representative from Washington, serving from 1897-99. After serving as a colonel in the U.S. Army during the Spanish American War, Lewis lost his attempt at reelection and a subsequent run for U.S. senator and he moved to Chicago in 1903, where he was again unsuccessful as a candidate for Governor of Illinois in 1908 and in 1920. In between times, he ran for U.S. Senator from Illinois in 1912 and won, serving from 1913-19. He served as the first senator to be the Majority Party Whip, starting in 1913 after the political role was created. He lost his bid for reelection, but he persevered and won his Senate seat back in 1930 and was reelected in 1936, serving until his death in 1936. One of their fellow attorneys who argued cases in both Seattle and Mount Vernon in the 1890s was Key Pittman, who moved to Nevada after a try at the Klondike gold rush in 1898 and served three decades as a U.S. Senator from Nevada. Pittman died the year after Lewis died, while also still in office, and eight years after the death of Million. If you have ever wondered why Million had so much "juice" politically, this might help you understand. In 1890, George Bacon, loan agent for Eastern mortgage interests, shares an office with Million in Mount Vernon. Also in 1890, Elmer and his brother, Marshall W. Million, co-plat the town of Bessemer just north of Birdsview with Harrison Clothier. That was four years before Elmer joined in business with Ed English, Clothier's partner in the founding of Mount Vernon in 1877. Clothier was also a Democrat. Also in 1891, Million acted as counsel for the Great Northern/Seattle & Montana rail line to obtain right of way as it built northwards from Everett through Skagit County. When the Bar Association of Skagit County was formed in the fall of 1891, Million was a charter member along with his partner and future judge, Jessie (also spelled Jesse) P. Houser. In 1892, Million is active as a Democrat elector in Mount Vernon, supporting President Benjamin Harrison. His partner, J.P. Houser, ran for county prosecuting attorney on the ticket of the new People's Party but lost to Republican George A. Joiner. 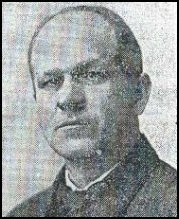 Also in 1892, a new court district was created for Skagit and Island counties and Million was temporarily appointed judge for the court for a month before Mount Vernon attorney and future governor Henry McBride took over in January 1893. In February 1892, Million invests in the Democratic Publishing Company, which takes control of the failing Chronicle newspaper in Mount Vernon, which changes the name to The Democrat and installs James A. Power, former publisher of the Puget Sound Mail as editor. Later in the 1890s, it became the Post-Argus and then the Argus. In 1893, Million and Houser defend David C. Moody in his trial for the 1892 murder of J.L. Warner, owner of the Hamilton electric light plant, but he was convicted of manslaughter. After logging company owners Ed English and Harrison Clothier disassociated in the early 1890s, Million became involved with English in his logging activities in 1894 as both his attorney and a partner in the English and McCaffery Logging Company. Elmer and partner Houser invest in land north of Burlington, buying a parcel from sawmll owner Silas Butler. In 1897, Daniel E. Gage and the executors of the executors of R.L. Kelley estate (South Fork) brought suit against the surviving Clothier and English partnership and their partners, including Elmer and Ellas Million and were granted a judgment of $10,200. In 1900, at the state convention, Democrats nominated Million to the state supreme court. In a big Republican year, however, Million finished a distant third to Republican Wallace Mount. In 1901, Million is again a partner and attorney with the new firm, English Logging Co., capitalized in Seattle. Also in 1891, Million joined Grant Neal, Gus Hensler and W.V. Wells in buying the failed Anacortes Hotel "for a song," and tried unsuccessfully to revive the 1890 building. In 1902, Million is a trustee of the new Skagit County Fair Association, which stages the fair in the Riverside District. Before moving to Seattle, in February 1906, Million invests with Ed English and John Hightower in the new Highland Timber Co. in Lyman and the company builds a sawmill at the northeastern edge of town that evolves into the Skagit Mill Co. In March 1906, Million and Houser announce that they are moving to Seattle and setting up a new practice there, but they maintained an office in Mount Vernon, joined by Mount Vernon mayor I.E. Shrauger. There is no more record of brother Marshall. Elmer's cousin, William C. Million, a civil war veteran from Wisconsin, died in Seattle in 1913. As a parallel, keep in mind that Sedro-Woolley's most noted pioneer photographer, Darius Kinsey, also moved to Seattle in 1906. In 1906, after moving to Seattle, Million once again runs for supreme court judge and this time finishes an even more distant fourth, losing by more than two to one. In 1940, a suit against the administrator of Million's estate showed that at the time of his death, Million still owned nine parcels of real estate located in King, Kitsap, Skagit, and Snohomish counties; capital stock of the Highland Timber Company, which still existed in some form, and 22 shares of capital stock of the Skagit Mill Company in Lyman. We have very little information about Million's career after moving to Seattle, or his divorce and remarriage or his brothers. We hope that a reader, or descendants of his siblings or of Ten or Decillion or a historical researcher will read this story and contact us with more details. The Courthouse Fight of 1909, when Burlington tried to wrest the courthouse from Mount Vernon.